Eurodollar is getting closer to the group of lower fibo levels. 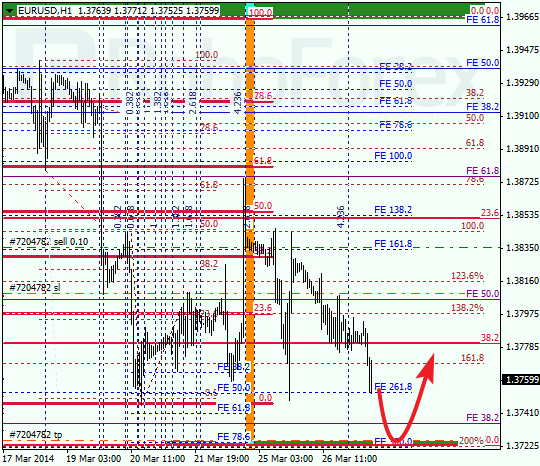 Possibly, price may reach target at level of 1.3725 during Thursday. Later price may rebound from this level and start new and more serious correction. 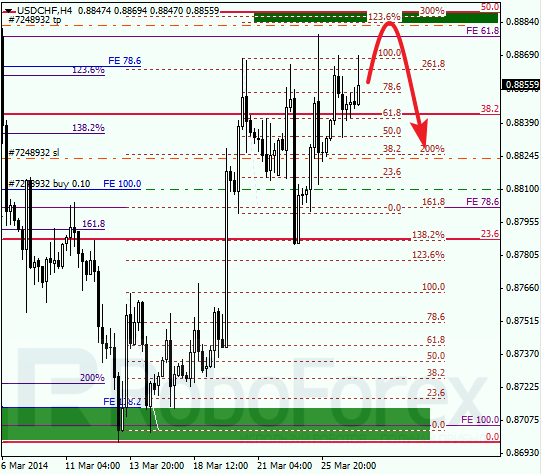 At H1 chart, pair rebounded form level of 61.8% inside temporary fibo-zone and started falling down. Stop on my sell order is already in the black. We should note, that if later pair breaks fibo levels at 1.3725 downwards, bears will continue pushing market downwards. Franc also hasn’t reached its upper targets yet. Target for bulls is at level of 0.8890, where we can see several fibo levels. If market rebounds from them, price will start new correction. 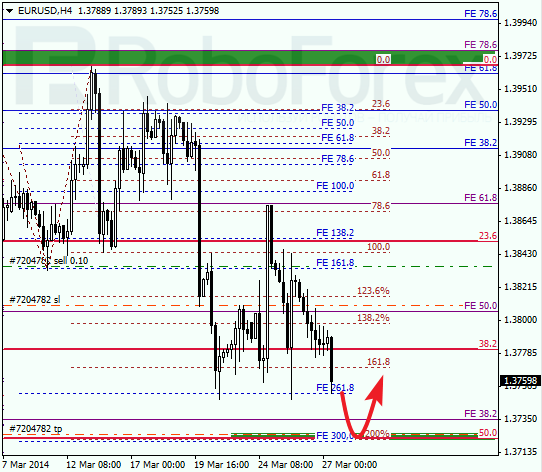 As we can see at H1 chart, price is getting closer to temporary fibo-zone. Possibly, market may reach its main targets right inside this zone. I’m planning to close my order with Take Profit, because there is a risk of more serious correction.